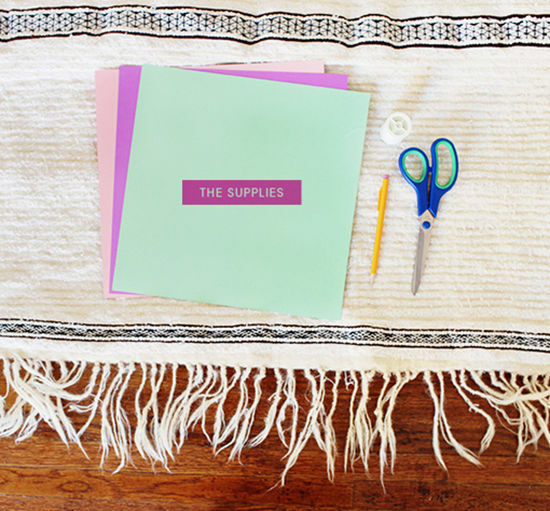 before we start our DIY, have you entered our facebook giveaway today? 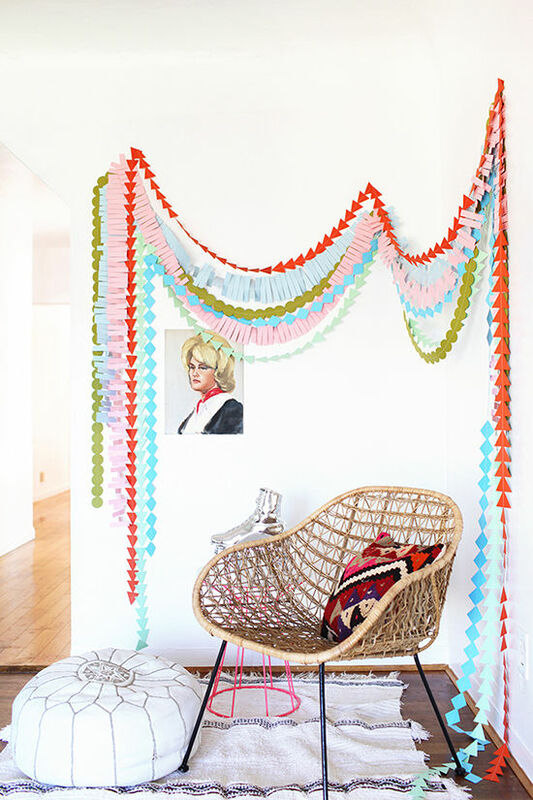 do you remember this garland that natalie made at our LA blogshop? 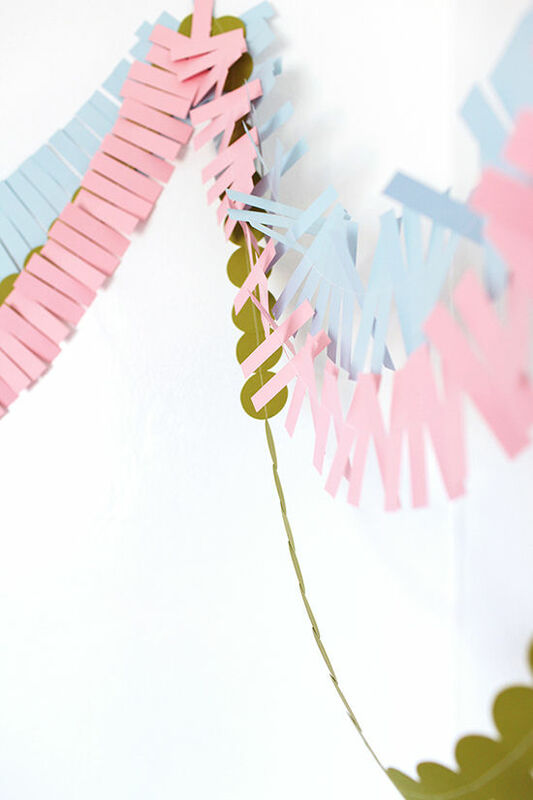 (see here) we decided to show you the very simple steps to follow so you can make one of your own for an upcoming party or event…or to just make one of the corners in your house look cool. 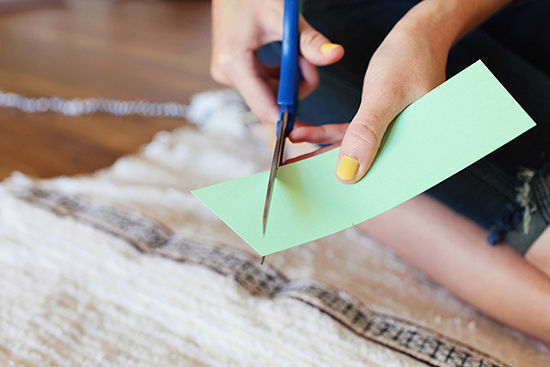 • for the traingle strand: with a pair of scissors, cut the sheet of card stock into 2 in wide strips. 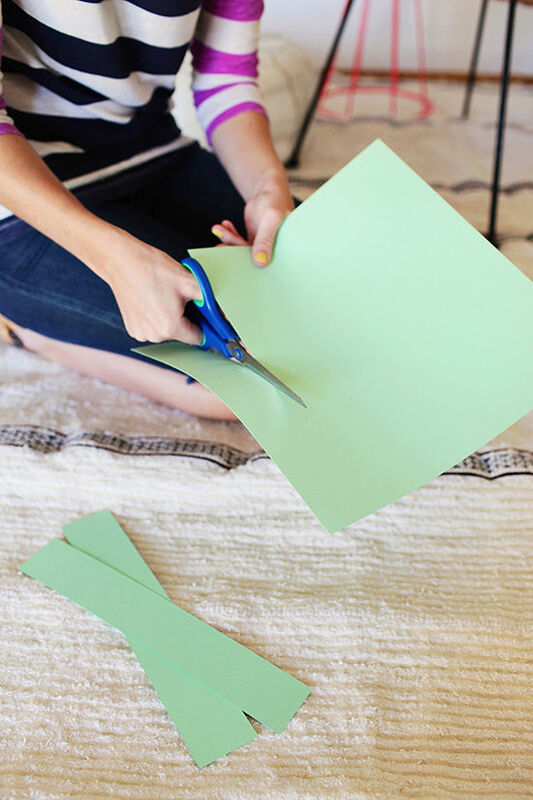 • cut the card stock strips into triangles by holding the scissors at a 45 degree angle, cutting towards the corner of the strip. cut in the opposite direction to complete the triangle. 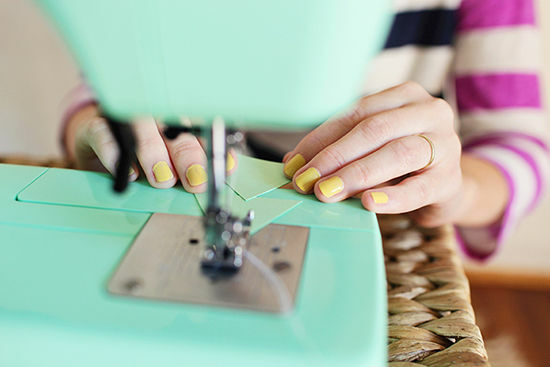 run each triangle through a sewing machine, slightly overlapping each to continue the stitch. lastly, hang! we used adhesive putty, but double sided tape or tacks would work just as well. so what do ya think? 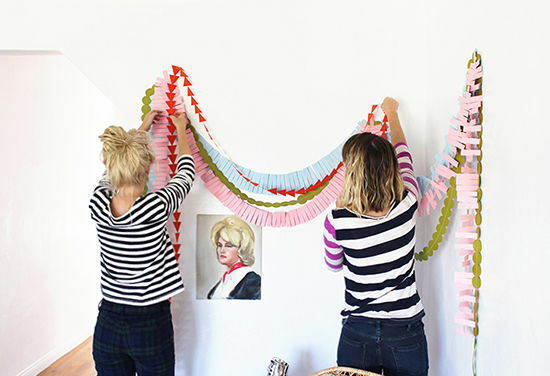 are you gonna make one of these pretty garlands? Such a great colour combo! 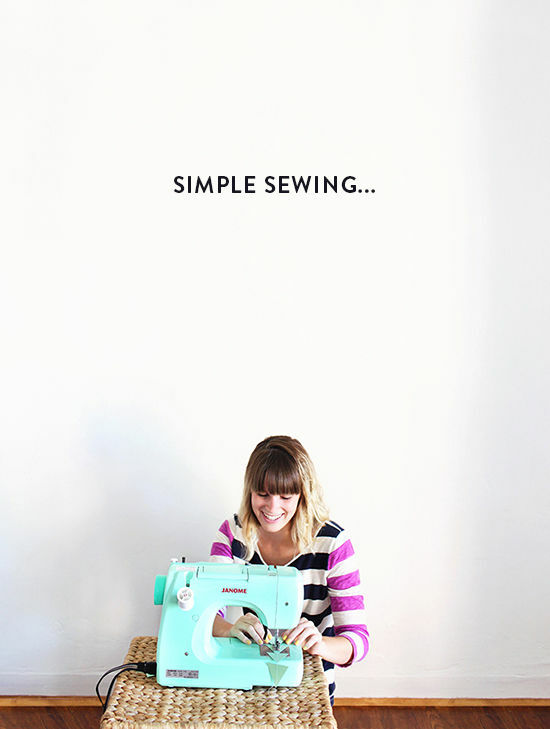 And where can I find a turquoise sewing machine!?!? I won’t have to hide my yellowing old white one anymore. love, love, love, can’t wait to make a few for my baby’s room, such a nice and affordable decoration. this whole set up is gorgeous! 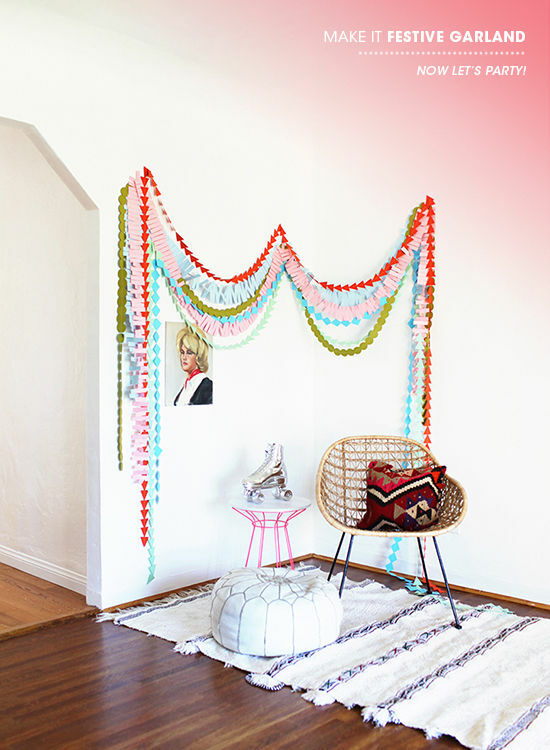 i’m totally inspired.. i love how the bright white wall, natural chair, vintage portrait, and vibrant handmade garland complement each other! it’s simply perfection. is this your house? i love this corner. I might try doing something like this or over my daughter’s bed. it needs some pizzazz for not a lot of dollars. 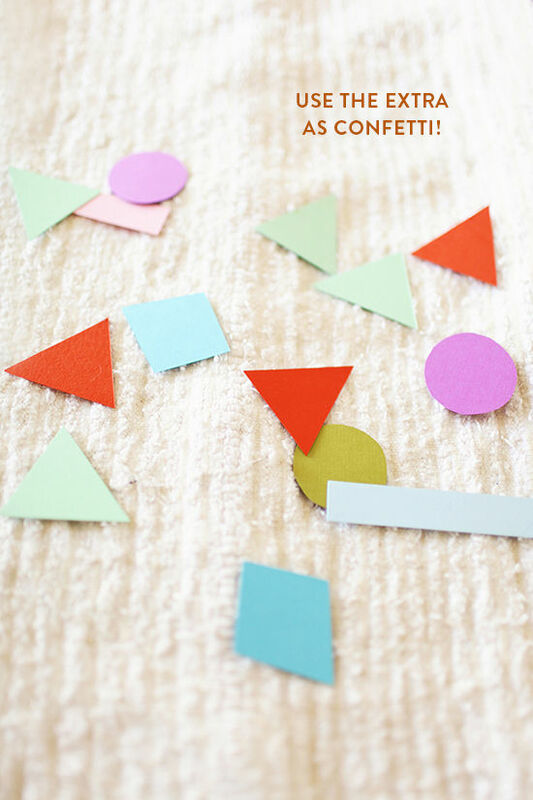 Cute idea, I want to try with some crazy bright colors! That was exactly my inspiration for my daughters bday party coming up!! I already made the garlands but I haven’t posted yet- I’ll try to remember to comment again when I do! Love it! Thinking about a halloween party and how cool this would look in golds and oranges and blacks! I’m obsessed with this idea. Can’t wait to use it at my next event! Any tips for sewing paper? My first/last attempt was not successful. Thanks! 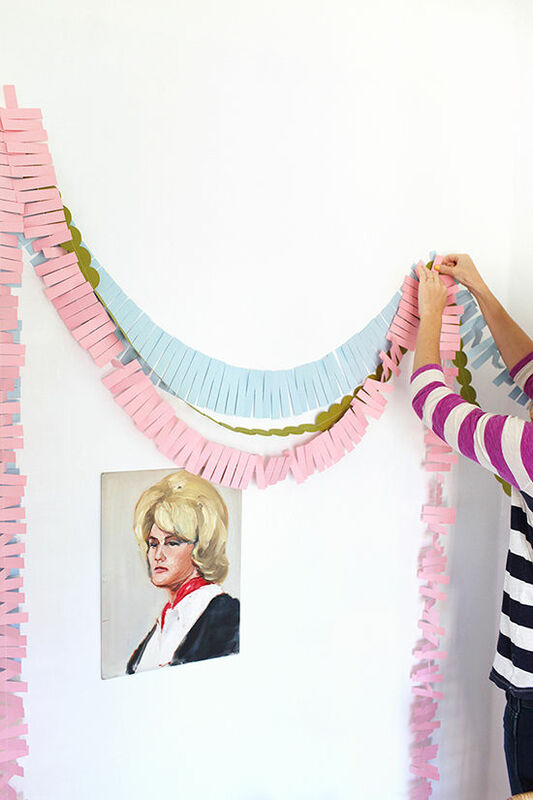 Very simple DIY decor, but the outcome is really great-looking. Thanks for sharing. It’s not just an idea; it’s also inspiring. True. DIY could be anything! Love this! 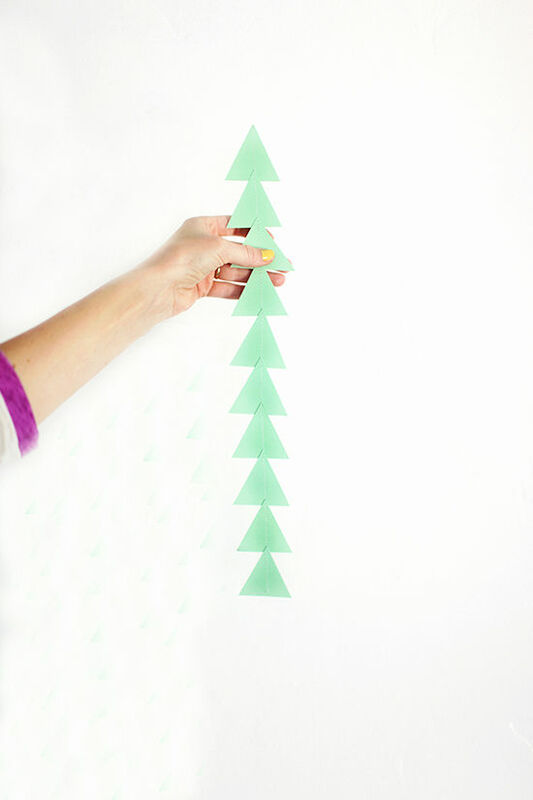 So simple + festive. A great way to infuse some playfulness into a room! do you know where that rug is from? I love it!!! Oooowweee.. I can not wait to try this out for myself…so cute! this is my favorite of all garlands. i always do one shape at a time but the combo makes it so much more fun. love! and my visitors would genuinely benefit from a lot of the information you present here.